The biggest change in Formula One for decades, the replacement of normally-aspirated engines -- a staple in the series for a quarter of a century -- with 1.6-liter V6 turbocharged units, meant the MP4-29 would be McLaren’s first turbo-powered F1 car since the peerless MP4/4 in 1988. The team’s new Mercedes PU106A Hybrid engine would have a lot to live up to. 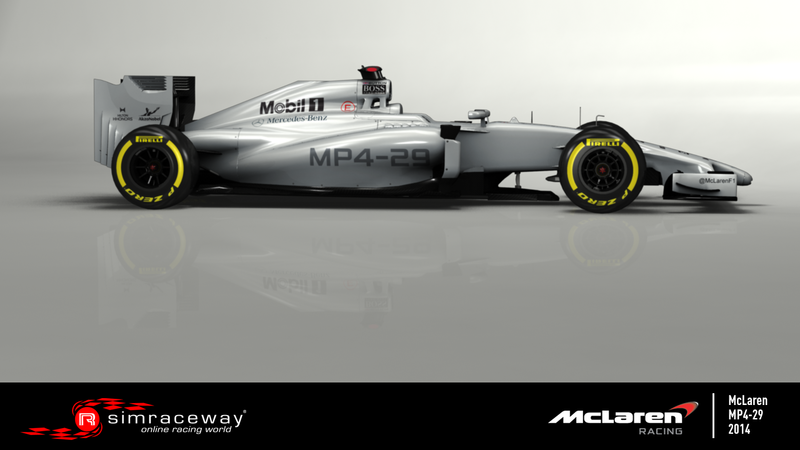 Having parted company with its long-time main sponsor, McLaren sent their new car into action bedecked in a new, predominantly silver, livery -- and it began the season promisingly. Also distinguishable from its predecessors thanks to its stooping nose -- one of a number of design alterations required by the summer’s far-reaching rule revision -- it notched impressive second and third places at the Australian Grand Prix. 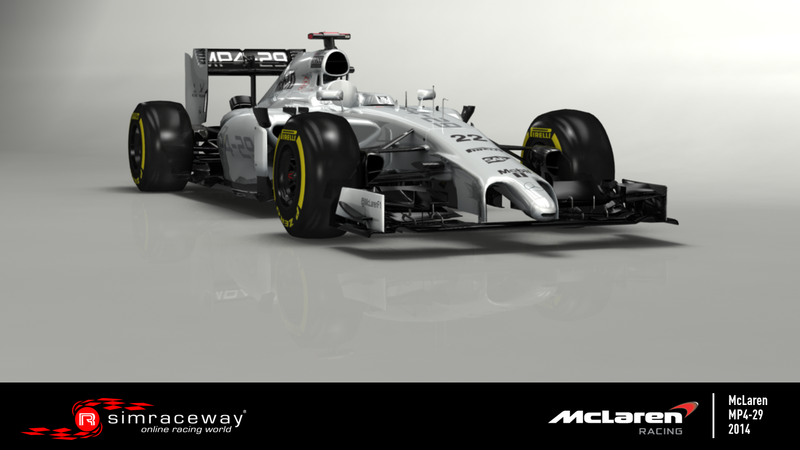 To take McLaren’s all-new Formula One racer onto the track, download the MP4-29 right now on Simraceway. 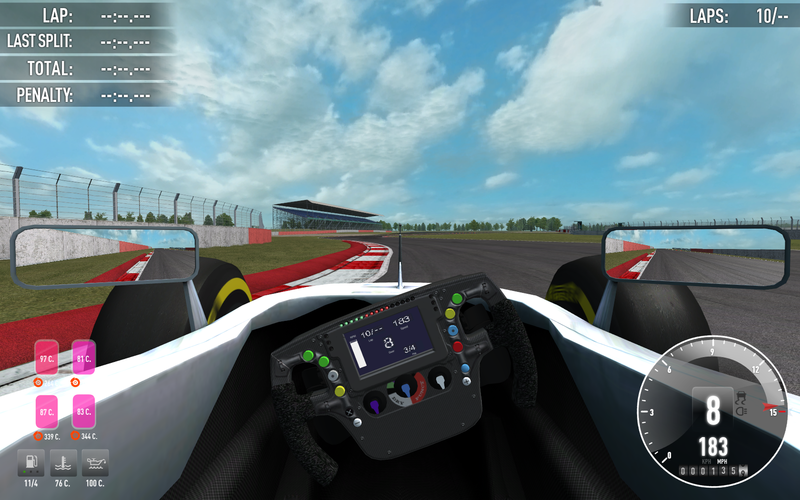 As mentioned before, we have been carefully following the Silverstone GP (hosted on the weekend of release) and gathering more data about the MP4-29. It was a very valuable process. Still waitung for 8th Gear. How does the development going on? We got it all working and the car is fully drivable with 8 gears. Unfortunately, a downside of using that gearbox is a random bug in a completely different area, not related to car's functionality. That prevented us from releasing it in such specification. The development continues and hopefully ends up with a positive result one day. I'll share a few shots of myself driving the 8 gear car below, so you can at least get a picture for now. Can we know specificaly what bug is that and/or what it does? It's not related to drivability, so the car is ready to race. 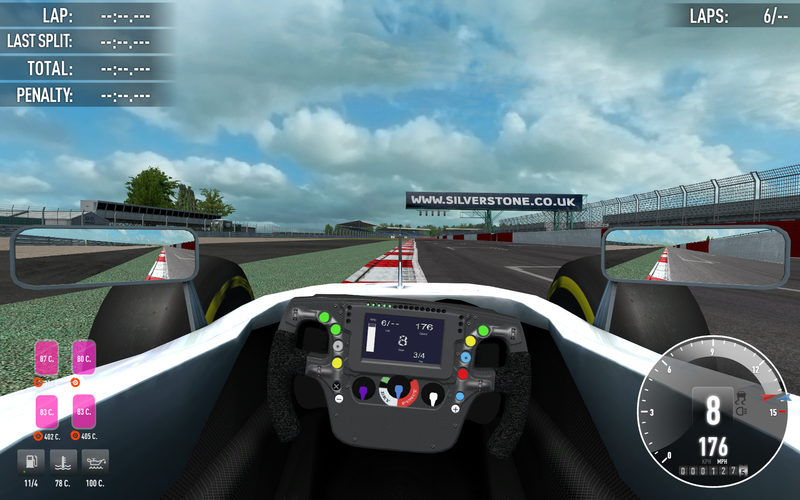 I have just processed a very minor update to the tires, which will improve the accuracy of FFB. Make sure to reset your Download Manager, before accessing any events with MP4-29. As you probably know, 2014 was a bit of a revolution for Formula 1. In order to get a greener image, and more importantly to develop more synergies between road-going cars and the constructors involved, the old 2.4 V8s were ditched in favor of brand new 1.6 turbo V6s, boosted by an extremely complex recovery system. The FIA restricted the capacity of the fuel tanks to 100kg of fuel, and also strangled the airflow to a maximum of 100kg/h, a drastic 30% more efficient than the old engines, and an impressive technical achievement. They also went for new nose design regulations (leading to the challenging new looks) in order to make front to side collision safer, and also to limit the amount of air that would go under the car to feed the rear diffuser. So what we have here is a car which, thanks to the turbo and the electric boost, develops a lot more torque than the previous generation, while also having less downforce. As you can imagine, the results are dramatic. 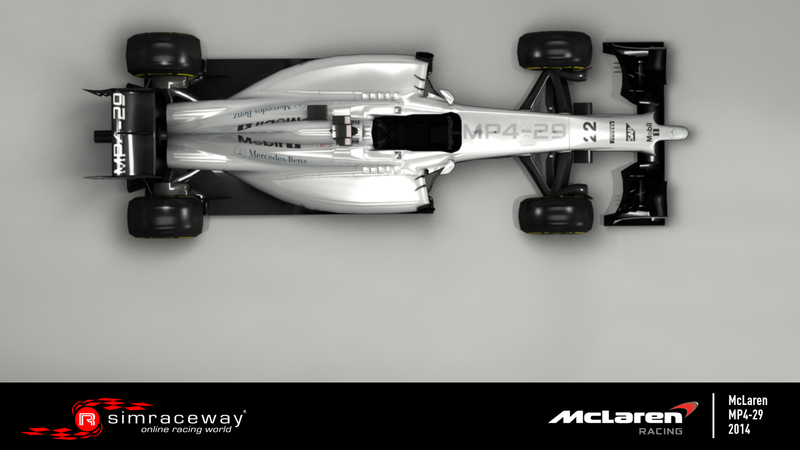 The MP4-29 is an unruly beast. The torque delivery is so brutal it’s hard to focus on anything else, really. You will even spin starting in 7th gear. So if you don’t wish to turn the traction control on, you’re going to have to focus like never before. To give you an example, it’s pretty hard to pass Turn 2 at COTA without lifting. 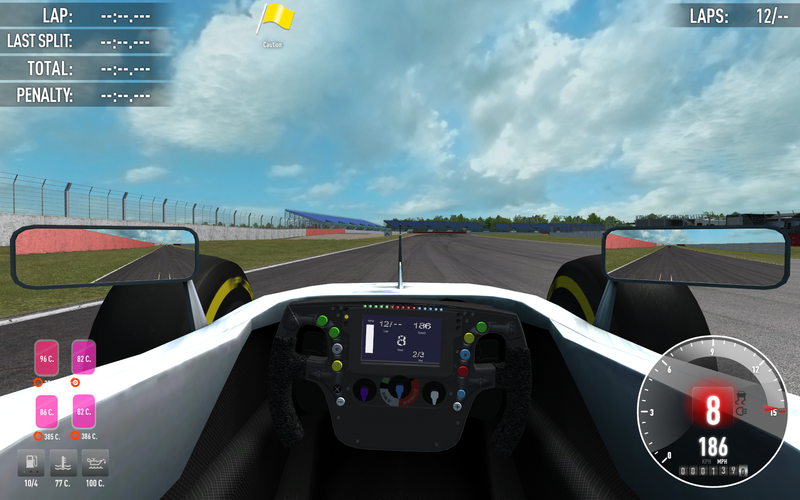 You have to shortshift to 6th, take the smoothest line possible, and be very careful to avoid that bump near the apex. Otherwise, you’re in a world of trouble. The rear will snap on you, and there is nothing you can do to catch it back. 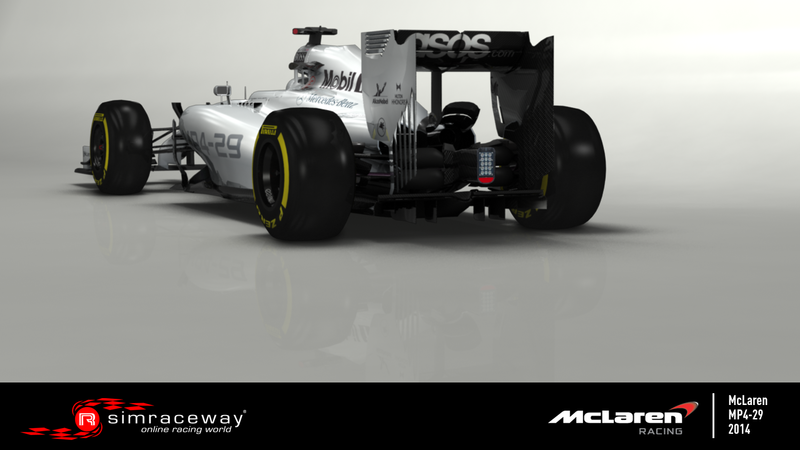 With the 2013 car you wouldn’t even consider Turn 2 as a proper corner. It’s just a flat bit that leads to the esses right? Well, think again. Exiting every corner, the car only allows you to think about one thing: get on the power the most smoothly way you can or you’re out. One tenth of a second of inattention, of over confidence and you’re dead. Even a simple mistimed upshift can send you backwards into the wall. But to me, this doesn't mean less fun than the previous generation. In the V8 cars, speed was in the infinitesimal detail, braking 2 meters later, carrying 1mph more into that corner. 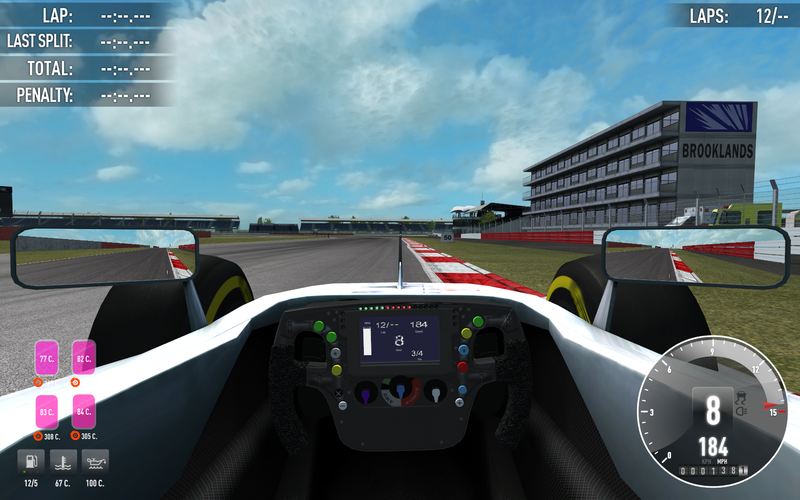 Now that is fun in its own rights, but having to wrestle with the MP4-29 is so exhilarating, when you finally do clean series of lap you’ll feel like a hero. And that’s what F1 should be all about, right? Learning to shortshift at precisely the right moment, to get on that exact line that will allow you to get on the power earlier and just rocket out of the corner… It’s just so good. Alright, I’d love to have a bit more front-end precision. And yes it will be slower than the V8 cars. But isn’t taming a wild monster what driving is all about? Trust me, when you get to harness all that massive torque, you’re going to love it. But it will take you some time, you will have to tweak it a bit, go through different degrees of traction control. And that doesn’t help to have clean and close Quick Races. But I once raced it in a championship race, and that was brilliant. Holding back your aggression, putting pressure on the guy in front of you, watching him get ever and ever more sideways until finally you can pass him, this is why I love racing. You’ll never stop improving your driving with this car, and it will make you a better driver.